School Success benefits from a sizeable network of tutors. They all have a university degree related to the subject matter they teach, as well as experience with children. Each student is matched to a tutor according to the child's personality and the difficulties they are experiencing. 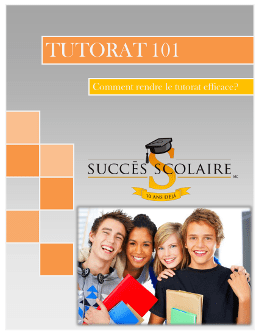 Their tutor will make their way to your home or will offer their services online, according to your preference.